The Park City High School boys' and girls' lacrosse teams would like to thank everybody in Park City for making this year's Christmas Tree Recycling Fundraiser the best one in the history of the event. Nearly 500 Christmas trees were collected over two weekends in January by our players. The fundraiser is a great community service for Park City, supplying trees to Swaner Nature Center for habitat improvements and all other trees are chipped down for recycling. Park City High School lacrosse teams are 100 percent self-funded, administered by volunteers and all contributions help support more than 110 student-athletes on five high school-level teams. The varsity girls' and boys' programs were ranked among the top-10 teams in the entire Western U.S. last year and many of the kids graduate to play in top college programs in the U.S. and Canada. To learn more about Park City Lacrosse please visit www.parkcitylacrosse.org . The PC MARC is offering free group fitness classes to get you through the winter season. February's free classes are Barre on Mondays at 10:30 a.m. and Painfree Posture on Thursdays at 8:30 a.m. Try something new courtesy of the PC MARC. For more info, visit parkcityrecreation.org or call 435-615-5400. The Park City Ice Arena invites the community to celebrate its 10th anniversary on Saturday, Feb. 27, from 6:30-9 p.m. The celebration includes a family open skate for $10 per family. Motherlode Canyon Band, who played at the grand opening in 2006, will be back to help celebrate. The celebration includes a 10 percent discount on 10-punch passes during the month of February and 10th Anniversary logo wear for sale. For more information, please contact Matt Genther at matt.genther@parkcity.org or by calling 435-615-5703. The Park City Boys Soccer Team will begin tryouts for the spring season on Monday, Feb. 29. Players interested will need to be registered at www.registermyathlete.com and have a current physical prior to attending. Tryouts will be held starting at 3:30 p.m. on Dozier Field. Please contact Coach Tom Merchant at CoachPCSoccer@gmail.com with any questions. The Park City High School girls' golf team is looking to follow up last year's second-place finish at the state tournament with a run at the title this season. For any girls in grades 9-12 interested in playing on the team, there will be a meeting on Monday, Feb. 29, at 2:45 p.m. at the high school in room 127, next to the library. Please contact Coach George Murphy at gmurphy@pcschools.us if you have any questions. Registration is now open for PC Recreation's Spring Youth Soccer League for children ages 4 to 11. The league is held April 13 to June 4 on Saturdays and/or Wednesdays at the Park City Sports Complex. The $70 fee includes a uniform. Parent volunteers are needed to coach every team, and head coaches receive a 50 percent discount on the registration fee. The registration deadline is March 14. Space is limited. For more info and to register, visit parkcityrecreation.org or call 435-615-5400. Wasatch Mountain State Park in Midway will host a moonlight snowshoe hike on March 18. Check-in runs from 6-6:45 p.m. Hikers ages 8 and older are welcome, but no pets are allowed. Registration is $7 per person and $6 for snowshoe rental. Visit www.friendsofwasatch.org to register. Registration for boys' and girls' youth lacrosse is now open. Teams are available for players in grades 1-8. To sign up, visit www.parkcitylacrosse.org . Calling all coaches! Basin Recreation will transition from its traditional Youth Baseball program to a Little League International sanctioned Little League program this spring. Help is needed to make the inaugural season as seamless as possible. Basin Rec is currently seeking additional coaches and team sponsors ahead of the upcoming spring 2016 season. Anyone interested in coaching or sponsoring a team should contact patrick@basinrecreation.org . Basin Recreation is offering Nordic Ski sessions in February and March. These classes are for kids and adults who are just learning to skate ski. Sessions are Sundays from 10 a.m.-12 p.m. at various Basin Recreation parks and trails. Bring your skis and enjoy Basin Recreation's groomed ski trails and get a great workout. The cost is $35 per session or $10 drop in each week. The session is limited to 20 participants. This program will sell out, so register now! To register, visit basinrecreation.org or call 435-655-0999. Juniper Campground, located at Rockport State Park, will remain open all winter. The campground will be open with electric hookups only -- the water and restroom will be closed. Campers with self-contained camp units can camp for $20 per night on a first-come, first-served basis. The roads and campground will be plowed all winter. Rockport State Park is located in Summit County off I-80 at the Wanship exit (Exit 155). For more information please call the park at 435-336-2241. Adult Lunch Bunch is held on Wednesdays at 12 p.m. at the Park City Ice Arena. This class is for the adult skater who wants to enjoy some social time on the ice with other adults, learn some new skills and get a great workout. Beginners and more advanced skaters are welcome to attend. Register today at ParkCityIce.org or call 435-615-5707. The PC MARC is now offering evening childcare hours so you can conveniently get your after-work fitness in. Fun and attentive childcare staff will keep children ages one to six entertained Mondays through Thursdays from 4 to 8 p.m. for just $4 per hour. Daytime hours remain Monday through Friday, 8:30 a.m. to 2 p.m. For more info visit ParkCityRecreation.org or call 435-615-5400. Add an exciting new element to your workout by combining the cardio of tennis with the strength benefits of TRX. The PC MARC is offering both Cardio Tennis and Cardio TRX Tennis designed to improve fitness on and off the court. The high-energy, full-body workout is perfect, whether or not you are a tennis player! Classes are held Tuesdays, Wednesdays, Fridays and Saturdays. The class fee is $17 for those who pre-register and $20 per class for drop-ins. For more info, visit ParkCityRecreation.org or call 435-615-5400. Basin Recreation is holding open field time for those in adaptive (physical, mental or other limitations) populations and their siblings. The dates are March 12 and April 9 from 4-6 p.m. For more information, email Helaine O'Keefe at helaine@basinrecreation.org, visit BasinRecreation.org or call 435-655-0999. The PC MARC makes working out convenient and affordable for parents. When thinking about that gym pass for the winter, consider the child care that is exclusively for patrons who are on site. Children ages 1-6 can join the fun Mondays through Fridays from 8:30 a.m. to 2 p.m. for $4 per hour. Call 435-615-5400 or visit ParkCityRecreation.org for more information. Come join the Park City Speed Skating Club for the new season. PCSSC is a skill-building, fitness-oriented club with an emphasis on fun. Basic skating skills are necessary and all ages are welcome. Practices will take place on Monday evenings from 6:15-8 p.m. and are coached by four-time Olympian Catherine Raney-Norman. The first visit is free so come take a lap with PCSSC. For more information, please visit ParkCitySpeedSkatingClub.blogspot.com . Whether you're a youth or just young at heart, the PC MARC has a new spin class just for you. Join Brooke on Sundays from 4:30-5:15 p.m. for a great workout and music at a decibel level young people can appreciate. Ages 13 and over are welcome. For more info, visit ParkCityRecreation.org or call 435-615-5400. PC Tennis invites those interested in racket sports to discover pickleball, the fastest-growing sport in the U.S. Head to the PC MARC for a variety of pickleball programming, including drop-in/social play, tournaments, clinics and drills. For more info and schedules, look for the Park City Pickleball Group on Meetup.com. The popular Town Race Series at Park City Mountain Resort has returned for another season. The two remaining races will be held March 7 and March 21 at the Eagle Race Arena from 3-6 p.m. There will be awards in four categories, including a new high school category for non-USSA licensed racers. The entry fee is $20 per race for an individual. For teams of four racers, the cost is $75 per race. 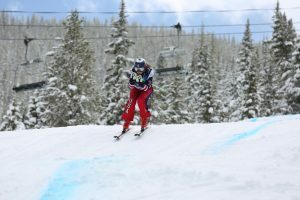 For more information, visit http://www.parkcityskiteam.org . The Park City High School boys’ and girls’ lacrosse teams would like to thank everybody in Park City for making this year’s Christmas Tree Recycling Fundraiser the best one in the history of the event. Nearly 500 Christmas trees were collected over two weekends in January by our players. The fundraiser is a great community service for Park City, supplying trees to Swaner Nature Center for habitat improvements and all other trees are chipped down for recycling. 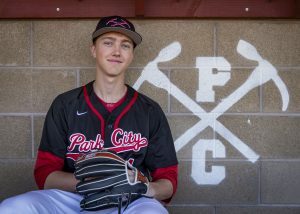 Park City High School lacrosse teams are 100 percent self-funded, administered by volunteers and all contributions help support more than 110 student-athletes on five high school-level teams. The varsity girls’ and boys’ programs were ranked among the top-10 teams in the entire Western U.S. last year and many of the kids graduate to play in top college programs in the U.S. and Canada. To learn more about Park City Lacrosse please visit http://www.parkcitylacrosse.org . The PC MARC is offering free group fitness classes to get you through the winter season. February’s free classes are Barre on Mondays at 10:30 a.m. and Painfree Posture on Thursdays at 8:30 a.m. Try something new courtesy of the PC MARC. For more info, visit parkcityrecreation.org or call 435-615-5400. The Park City Boys Soccer Team will begin tryouts for the spring season on Monday, Feb. 29. Players interested will need to be registered at http://www.registermyathlete.com and have a current physical prior to attending. Tryouts will be held starting at 3:30 p.m. on Dozier Field. Please contact Coach Tom Merchant at CoachPCSoccer@gmail.com with any questions. The Park City High School girls’ golf team is looking to follow up last year’s second-place finish at the state tournament with a run at the title this season. For any girls in grades 9-12 interested in playing on the team, there will be a meeting on Monday, Feb. 29, at 2:45 p.m. at the high school in room 127, next to the library. Please contact Coach George Murphy at gmurphy@pcschools.us if you have any questions. Registration is now open for PC Recreation’s Spring Youth Soccer League for children ages 4 to 11. The league is held April 13 to June 4 on Saturdays and/or Wednesdays at the Park City Sports Complex. The $70 fee includes a uniform. Parent volunteers are needed to coach every team, and head coaches receive a 50 percent discount on the registration fee. The registration deadline is March 14. Space is limited. For more info and to register, visit parkcityrecreation.org or call 435-615-5400. Wasatch Mountain State Park in Midway will host a moonlight snowshoe hike on March 18. Check-in runs from 6-6:45 p.m. Hikers ages 8 and older are welcome, but no pets are allowed. Registration is $7 per person and $6 for snowshoe rental. Visit http://www.friendsofwasatch.org to register. Registration for boys’ and girls’ youth lacrosse is now open. Teams are available for players in grades 1-8. To sign up, visit http://www.parkcitylacrosse.org . Basin Recreation is offering Nordic Ski sessions in February and March. These classes are for kids and adults who are just learning to skate ski. Sessions are Sundays from 10 a.m.-12 p.m. at various Basin Recreation parks and trails. Bring your skis and enjoy Basin Recreation’s groomed ski trails and get a great workout. The cost is $35 per session or $10 drop in each week. The session is limited to 20 participants. This program will sell out, so register now! To register, visit basinrecreation.org or call 435-655-0999. Juniper Campground, located at Rockport State Park, will remain open all winter. The campground will be open with electric hookups only — the water and restroom will be closed. Campers with self-contained camp units can camp for $20 per night on a first-come, first-served basis. The roads and campground will be plowed all winter. Rockport State Park is located in Summit County off I-80 at the Wanship exit (Exit 155). For more information please call the park at 435-336-2241. Basin Recreation is holding open field time for those in adaptive (physical, mental or other limitations) populations and their siblings. The dates are March 12 and April 9 from 4-6 p.m. For more information, email Helaine O’Keefe at helaine@basinrecreation.org, visit BasinRecreation.org or call 435-655-0999. Whether you’re a youth or just young at heart, the PC MARC has a new spin class just for you. Join Brooke on Sundays from 4:30-5:15 p.m. for a great workout and music at a decibel level young people can appreciate. Ages 13 and over are welcome. For more info, visit ParkCityRecreation.org or call 435-615-5400.